Diabetes and Fragile X syndrome may someday have something in common. Diabetes is manageable and so could be Fragile X syndrome. And, yes, even curable — potentially. 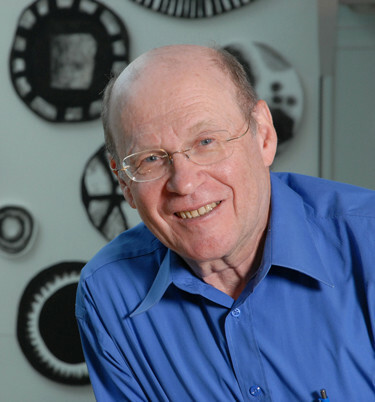 All depends on the ability to create the right combination of medicines through painstaking, disciplined and comprehensive research efforts, says Nahum Sonenberg, PhD, James McGill Professor, Department of Biochemistry, McGill Cancer Center, McGill University. Dr. Sonenberg is leading a team of researchers at McGill, in Montreal, Canada, which conducts research on the mechanism and control of translation (protein synthesis) initiation in eukaryotes (organisms whose cells contain a nucleus). Their goals are to understand the dysregulation of translation in those with Fragile X syndrome, cancer, autism, neurodegenerative disease, and virus infections. Key to Fragile X research success will be regulating the amount of specific proteins in cells. If all goes well in human trials, Dr. Sonenberg expects treatment in patients with Fragile X will go as well as for those taking diabetes medicine today. Likely benefits will be improved behavior, social interaction, sleep and cognition, and less hyper excitability. One of the biggest obstacles to human clinical trials is limiting or eliminating side effects of drugs used. Dr. Sonenberg says FRAXA is an amazing organization because it simplifies the process of asking for grant money and organizes Fragile X research conferences that are invaluable in advancing progress. He wishes more organizations were like FRAXA. Dr. Sonenberg was awarded the Robert L. Noble Prize from the National Cancer Institute of Canada in 2002, the Killam Prize for Health Sciences in 2005, the Katharine Berkan Judd Award from Memorial Sloan Kettering Cancer Center in 2007, the Roche Diagnostics Award in 2007, the Gairdner International Award in 2008, the CIHR Health Researcher of the Year Award in biomedical and clinical research in 2009, the Centenary Award of the Biochemical Society (UK) in 2011, the Lewis S. Rosenstiel Award for Distinguished Work in Basic Medical Science in 2012, and the Wolf Prize in Medicine in 2014. He says research on Fragile X syndrome has been very rewarding.